Elephants have a bulky body, large ears, a long trunk and most have tusks. In many western cultures, the elephant is considered a symbol of Reliability, Power, Wisdom, Royalty, Pride, happiness and good luck. Are you ready to learn how to draw a elephant? 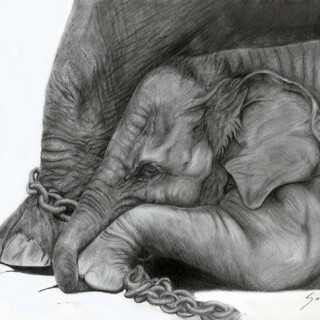 Here we have collected 10+ excellent elephant drawings for your inspiration….